New Year is only 10 days behind and everyone is thinking about unique ways of celebrating the New Year’s Eve with family and friends. If you are thinking of celebrating this New Year in Dubai, then you have taken the right decision, as Dubai city is known for its wide array of activities meant for New Year. Dubai has one of the best events and activities for celebrating Christmas and New Year. Now, you must be thinking about the ways to celebrate New Year in Dubai with splendid and grandeur you need to spend a lot. Well, this notion has been obsolete. You can enjoy New year in Dubai with pomp and show without putting a dent in your wallet. There is plenty to do in the New Year’s Eve in Dubai on budget. In this blog, we will be providing you with information about the sensational fireworks and entertainment options in the NYE in Dubai where you don’t need to spend much. Here we go. The extravagant NYE fireworks at Burj Khalifa is the most special attraction for the New Year which people are waiting for the whole year. If you are in Dubai, you should not miss the traditional fireworks and the laser light show. For watching the astounding Burj Khalifa laser light shows, you don’t want to book the tickets for Burj Khalifa, simply you can watch from Jumeirah Beach, Kite Beach, Mohammed Bin Rashid Boulevard, etc. 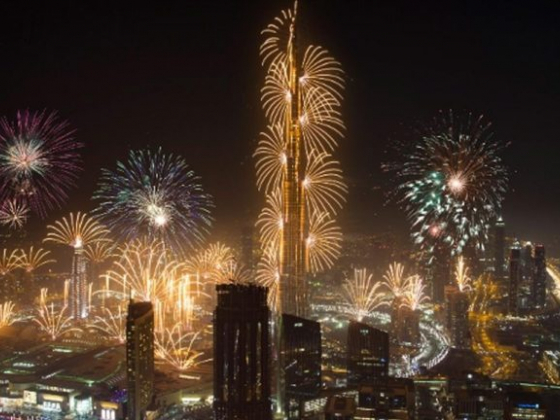 if you are enthusiastic enough to celebrate New Year with the crowd, then there is nothing better than spending your New Year’s Eve at Burj Khalifa. There is nothing more romantic to watching the night sky of Dubai, especially at the New Year’s Eve than Ferry Ride across the Dubai Marina. 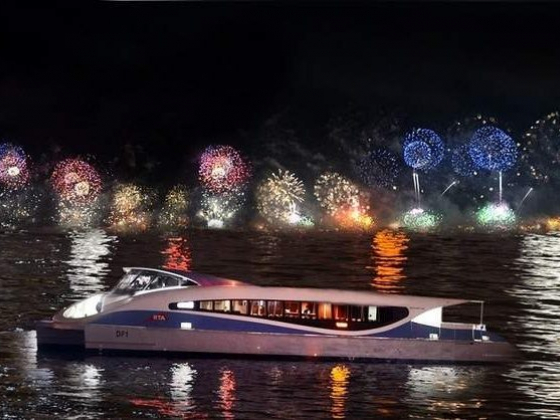 Ferry Ride at Dubai Marina is considered as one of the most cheaper ways to see the panoramic views of the traditional fireworks of Dubai in the New Year’s Eve. With your Ferry ride, you can see the fireworks of the iconic Burj Khalifa, Atlantis The Palm, Burj Al Arab, Palm Jumeirah, etc. In Dubai, most people book the private beaches for their private celebrations of New Year. If you are a budget traveler, then you can take a place on the Jumeirah Beach which resonates more than hundreds of people. You can pick a great spot and enjoy the sunset and watch the midnight fireworks of the NYE. You can see the light shows and the fireworks at your heart’s content from the beach. The Festival City Mall of Dubai is known for its celebrations and events, especially for the NYE. The best part of Festival City Mall is the myriad options of entertainment and celebrations where you can spend the whole night also. Starting from shopping to dining, Festival City Mall will offer you a plethora of things especially meant for NYE in Dubai. Every year, Global Village is known for its unique New Year Celebrations and exciting celebratory events which excites the visitors. Being the amalgamation of the world culture, Global Village Dubai is the ideal place for celebrating New Year because you can see the traditions of more than 75 countries of the world. Indeed, it will be one of the most extravagant destinations which will be decked up like a bride. In the NYE, you can enjoy the Global Village Special New Year musical fireworks. Madinat Jumeirah is one of the most popular places in Dubai which is known for its extravagant New Year celebrations in Dubai. Head advance in the area in order to ensure a good parking spot after that sit back and enjoy the New Year special fireworks. 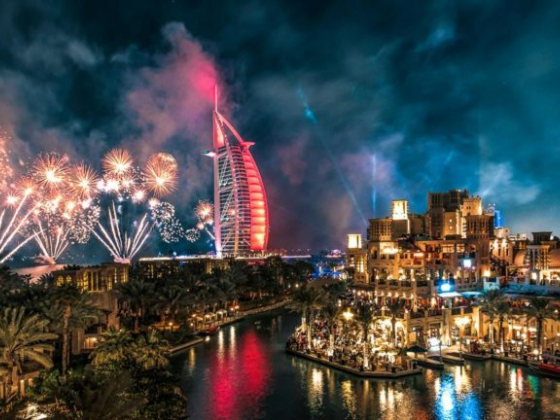 Apart from the myriad options of cuisines available at Madinat Jumeirah, there will be New Year special gala dinners which portray live entertainment options like fire dancers, musicians, and many more. Being the heart of Dubai, Downtown Dubai is the ideal place for all kinds of New Year celebrations in Dubai. Staring from the fireworks at Burj Khalifa to Burj Al Arab and Atlantis The Palm, you can experience the beauty from the Downtown Dubai itself. Well, the biggest New Year party of Dubai i.e. The Street Party will start from 8 PM in the evening and will continue up to morning. Well, you will find ample cafes and restaurants in the area and in every eatery, you will find some sort of live entertainment. If you are kind of person who doesn’t like the crowd and noise of the town, then you can throw a terrace party with your closed ones at your home only. This is one of the best and cheapest way to celebrate the New Year in Dubai. Have some good food with a bottle of champagne or wine and welcome the New Year while watching the fireworks from your terrace. Don’t forget to keep enough stock of the foods and refreshments as in the New Year’s Eve in Dubai you might not get food delivery services. Dubai is counted as one of the best places in the world to celebrate the New Year. The city of Dubai never ceases to surprise you with its offerings every time you visit. Whether you want to enjoy the NYE with the crowds in Downtown Dubai or you want to celebrate comfortably at your terrace, it’s up to you. We have given you the all possible ways of celebrating New Year in Dubai with grandeur at the minimalistic budget. If you want to explore the popular Dubai tourist attractions, then visit the website of Tripx Tours. 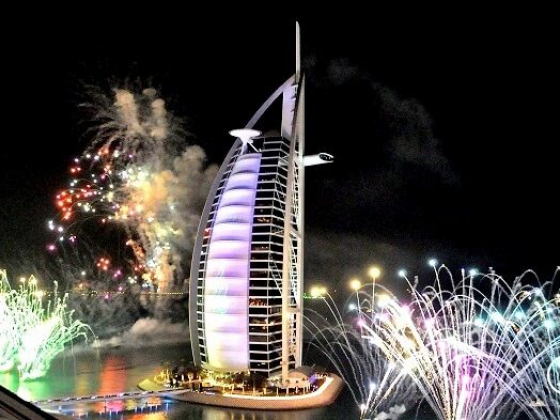 You can get affordable New Year special Dubai packages among the plethora of options. Enjoy your New Year and share your views with us. At TripX Tours we offer great Dubai excursion deals in our tour packages. We put emphasis on offering exceptional travel experience to our customers so that they can do Word of Mouth Promotion for us. And it is the reason for our huge customer base.